source code listings in Cactual case studies in a wide range of applications, including radar signal detection, stock market prediction, musical composition, ship pattern recognition, and biopotential waveform classificationCASE tools for neural networks and hybrid expert system/neural networks**practical hints and suggestions on when and how to use neural network tools to solve real-world problems. Practicing electrical engineers and high-level electronics technicians interested in applying neural network techniques. Introduction. 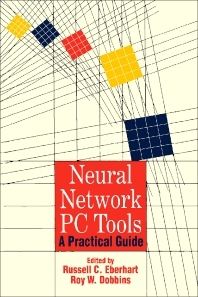 Background and History of Neural Networks. Implementations. Systems Considerations. Software Tools. Development Environments. Hardware Implementations. Performance Metrics. Network Analysis. Expert Networks. Case Study I: The Detection of EEG Spikes. Case Study II: Radar Signal Processing. Case Study III: Technology in Search of a Buck. Case Study IV: Optical Character Recognition. Case Study V: Making Music. Appendices. Glossary. References. Index.